Thanks for helping me bring home the trophy five years in a row. "What a great cause. My daughter and I love going to this event every year. In fact, she personally saved her birthday money to give tomorrow!" "Your dedication to Haven House is remarkable!" "Best of luck Mark - Glad to do my bit for your cause." "Keep up the good work Mark." "What a great cause, go Team!" "Thanks for the great work you do Mark!" "Thanks for your master flap-jack-ed-ness Mark. I make this gift in honor of Gene Kuthy because he would be a great flap jack artist as well." "Thanks for the effort toward a great cause Mark! Pete B, PM Environmental"
"GREAT cause...best of luck from everyone here at FCC!" "Mark, glad to support again this year. Thank you for all that you do. You make such an impact on so many people in need. Paul"
"Mark helps people every day of his life and it's a pleasure to help him help others. Go Mark!" "Thanks for making a difference Mark! " Mark McDaniel has raised $19,425 !!!! 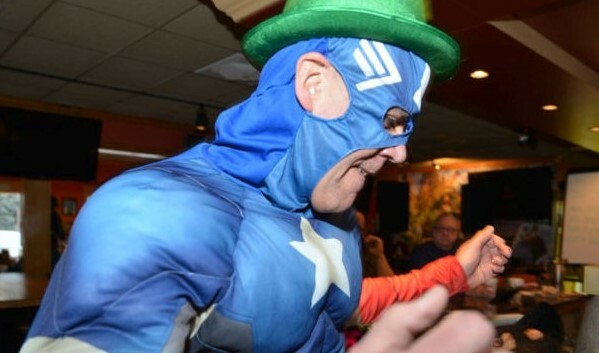 I've returned as a Star Server for Pancake Palooza 2019 to defend my championship title and do what I love – help Haven House support families in our community who are struggling with homelessness get back on their feet! If you can't attend but want to donate to a well deserving charity it will be added to my "tip jar." Donations large and small are welcome and appreciated. For the past 25+ years I've dedicated my life to a career that focuses on the immediate need for affordable housing in Michigan. It's my passion and a passion I share with the incredible and talented team at Cinnaire. Cinnaire is guided by our organization's Why statement – We have an unwavering belief that all people deserve the opportunities provided by living in healthy communities. We help to create affordable housing in at-risk areas through lending and investing programs. Through these programs Cinnaire is able to create jobs, improve lives and contribute to a vibrant, strong community. 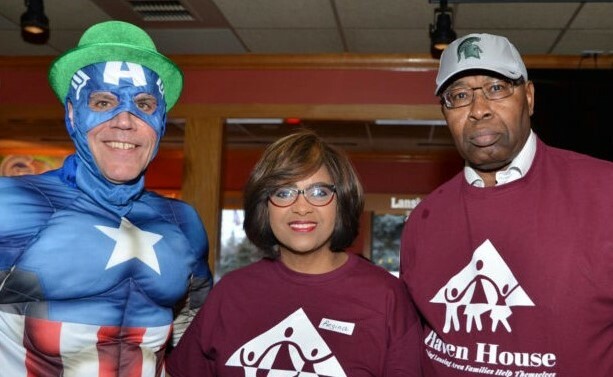 That's one of the reasons it's no surprise my team and I are strong supporters of Haven House, a shelter that focuses on helping homeless families prepare for permanent housing by developing and promoting self-sufficiency, stability and financial responsibility. Funds raised at the annual Pancake Palooza directly impact the lives of our neighbors by creating a safe place to fall back on during the most vulnerable time of their lives. Last year with the funds raised we were able to help over 40 families in need. I'm so excited to be a star server again at this year's Pancake Palooza and have a goal of raising funds to help even more families in our community. Let's make it happen together. Thank you for supporting my effort and making a difference to our neighbors in need.